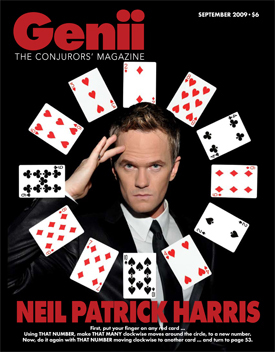 September 2009 - Genii Magazine, The Conjurors' Magazine - Magic's oldest independent magicians magazine, published since 1936. Copyright © 2007 by The Genii Corporation. any form or by any means without the written permission of The Genii Corporation. Violators will be prosecuted.